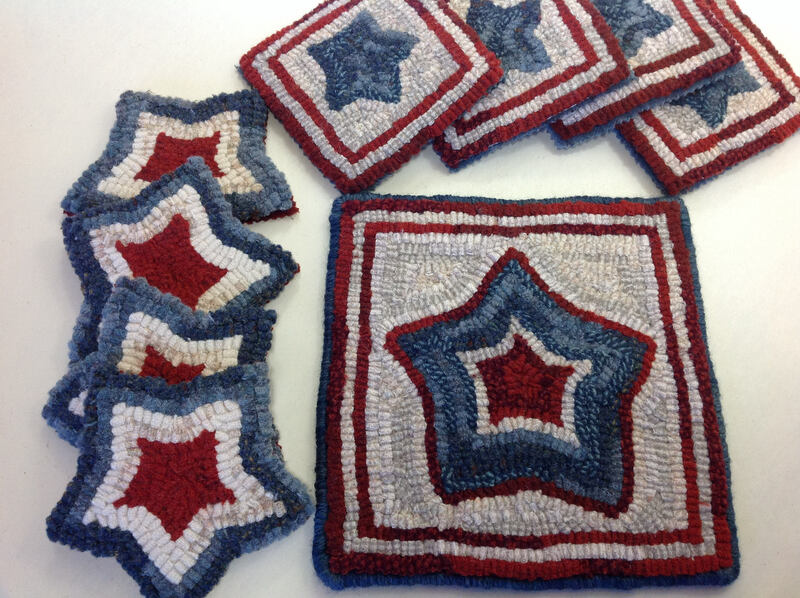 This listing is for the rug hooking KIT to hook my design "Patriotic Star Mug Rugs". 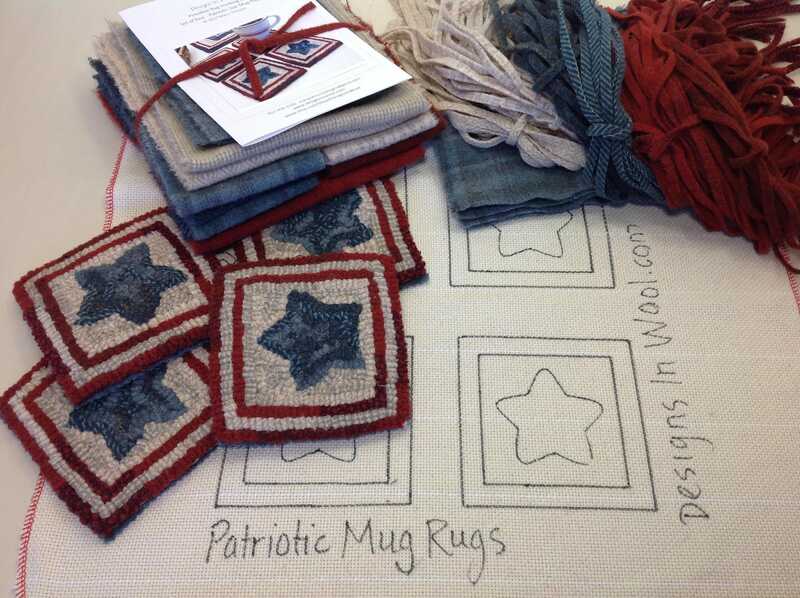 1) Hand Drawn Pattern on your choice of monks cloth or primitive linen with a 4 x 4" color photo. 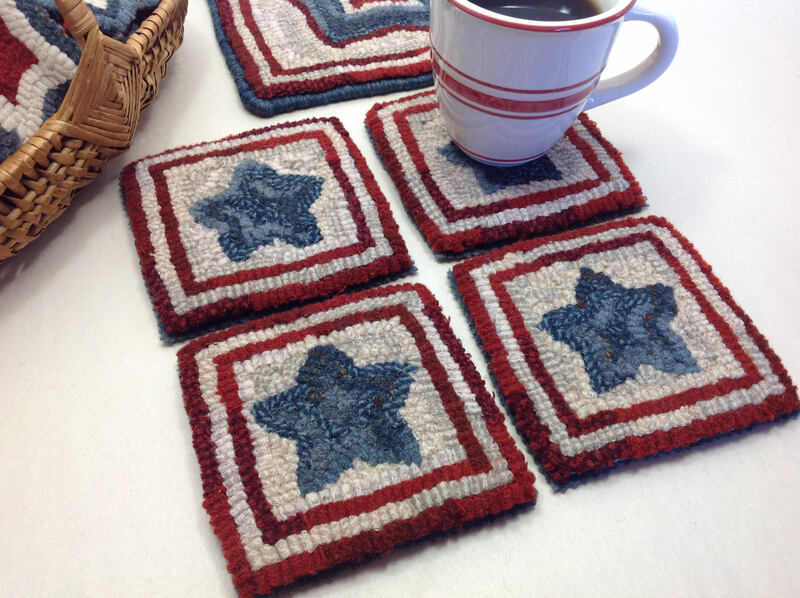 Amount of wool in wool pack is based on how much I used to hook these four mug rugs plus extra. If you hook higher or tighter than I do, or with a different cut than #8, you may need extra wool and are welcome to purchase more. 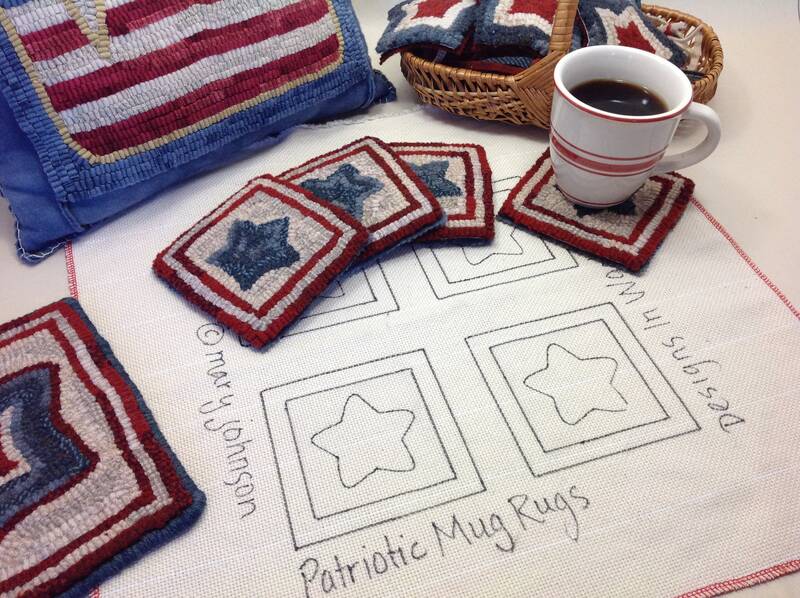 These four mug rugs measure approximately 4-1/2" x 4-1/2" each and are hand drawn on a 20" square backing fabric to make it fit on most rug hooking frames or in a 14" hoop. The raw edges of the backing fabric have been serged to prevent raveling while hooking.